If you’ve been injured in an accident then one of the first things you should do is find a qualified personal injury lawyer to help you with your case. You need a legal team that consists of experienced attorneys that can help you every step of the way toward acquiring the financial compensation you deserve. 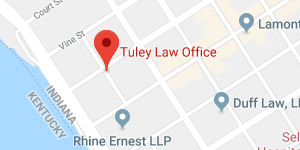 At Tuley Law Office in Evansville, Indiana, there is no fee unless their professional legal team recovers compensation for you. Tuley Law offers a no-cost case consultation to help you decide on the best course of action to get compensation for your injury. Here is how a personal injury lawyer will help you with your case. Personal injury cases are often broken up into four distinct phases. The first is the investigation phase. During this initial step following your consultation, your lawyer will visit the scene of the accident when possible and take notes and pictures of the scene. They will collect further evidence for your case by reviewing your medical records and bills that are incurred from the injury. They may also collect reports from first responders and emergency room records. 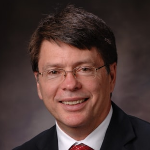 Your treating physician may also have records that are pertinent to the case. Any other documents that will benefit your case will be collected by your lawyer. These records include witness statements, police reports, and statements made by the injured party as well. The next step that your personal injury lawyer takes can be referred to as the negotiation phase. Your attorney will push for the best possible outcome for you during negotiations. A skilled lawyer will have experience with these sort of negotiations and will give you the best chance of a fair settlement. Your personal injury attorney will contact the insurance company, or other entities responsible for your injuries, and attempt to negotiate a settlement. They will provide the company with relevant documentation and proof of financial loss. At this time, the attorney may send a settlement demand letter and reject any offers that would be too low for fair compensation. Should a settlement not be agreed upon outside of court then litigation may proceed in your case. Your personal injury lawyer will file a lawsuit on your behalf and name the responsible party or parties. At this point, your personal injury lawyer will send and respond to written discovery. They will serve the defendant with interrogatories and requests for applicable documents. The lawyer will take the deposition of the defense’s’ witness and defend your position. You may be questioned by the defendant, in which case your attorney will be present to protect your rights. Your attorney may also file motions with the court in an attempt to resolve issues before trial. Again, the possibility of a settlement may be discussed at this time. If a settlement still cannot be agreed upon then the case will be taken to trial. Your personal injury lawyer will represent you at trial. They will make an opening statement, present your case, cross examine the defense witness, and present a closing statement. Your personal injury lawyer is here to help you every step of the way through your personal injury case. It’s important to work with an experienced attorney that can help relieve you of the stress involved with such cases and give you the best chance possible for fair compensation.